Our own machinery pool consists of 17 units of special equipment: 3 dump trucks Renault Kerax 440.42 (payload capacity 35 tons, dumper volume 20 m³), 4 dump trucks Renault Kerax 380.34 (payload 26 tons, capacity 16 m³), bulldozers Б 10М.0111-1Е and CAT D5K2, excavators Komatsu PC 450 LC (the heaviest hydraulic hammer in Kyiv weighing 3.5 tons or bucket) and JCB JS 360 LC (hydrohammer 3 tons or bucket), roller HAMM 3307, skid steer loaders CAT 444 E (hydrohammer or bucket), mini-loader Case 440. 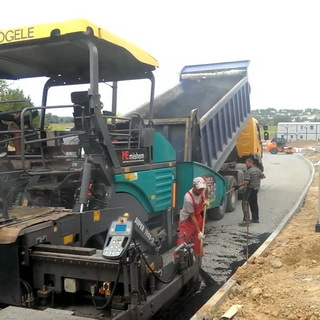 Working on their own and, if necessary, get the additional technics from our partners - renting pavers, graders, large cutters, scrapers, gravel/asphalt crushers etc. ✨ The area in front of the 'Respublikanskiy' Stadium. 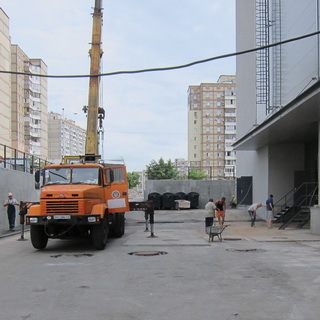 The first large construction object in Kyiv is the square in front of the 'Respublikanskiy' stadium. To take out a large amount of water-saturated soil, a set of measures for dewatering was carried out. Within 2 months took about 45 000 cubic meters of soil. Complexity: during digging the pit, more than 60% of the soil was removed with 2 excavators by the method of transferring because of the impossibility of the formation of ramp for trucks. Pit depth: 18.5 meters. Was involved in: 2 backhoes, 15 dump trucks, bulldozer. ✨ The preparation of the pit in 'Klovsky Spusk'. Complexity of object: saturated soil. 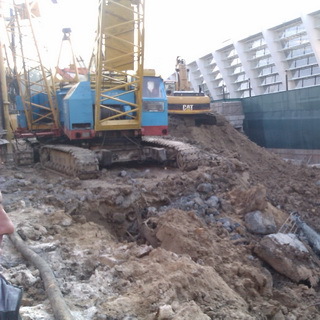 Were involved: 2 crawler excavators with rehandling and 10 dump trucks. Duration: 3 months. ✨ The preparation of the pit in 'Kadetsky Gai'. Complexity of object: the urgency and the high leverage of bringing out - 36 km. In that difficult situation, we were helped by the company 'BM Budmekhanizatsiya', who provided for us (in addition to ours 15) 12 more trucks. Within 32 working days, about 45 000 m³ of soil were taken out. 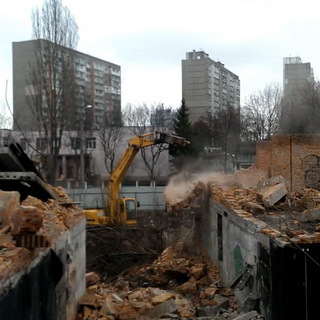 ✨ Dismantling of dilapidated buildings and the development of the pit under a residential buildings in Sotsgorodok (Kyiv), Popudrenko Str. In total, 27 houses of different complexity were dismantled in stages. Task: to demolish two dozen dilapidated houses and to dig 15 pits. Duration: 9 years. ✨ Dismantling of the facilities at the Olympic Stadium as part of its preparation for EURO-2012. ✨ Asphalting of the site on the territory of the official dealership "Porsche Airport "(Kyiv). ✨ Vertical works in the construction of shopping and entertainment center Sky Mall (Kyiv). 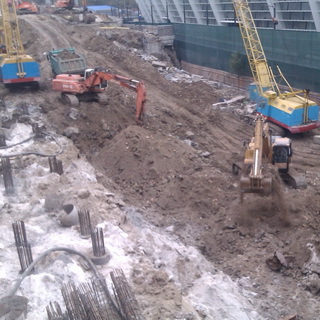 Amount of works: took out 25 thousand cubic meters of soil, dug a pit of 12 thousand cubic meters. 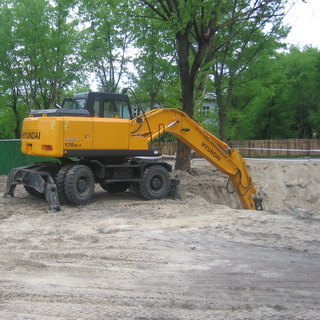 Part of the equipment for these works, including the hydraulic loader, was provided by the partner – the company 'Mostostroy', as all our equipment was sent to another object. 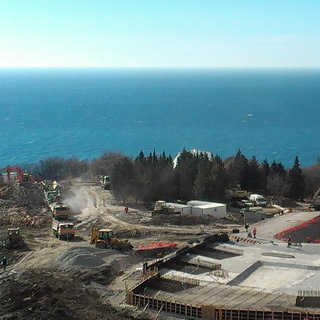 ✨ For the construction of a five-star hotel MRIYA RESORT & SPA on the South coast of Crimea in Opolznevoe near Alupka all our equipment went, including excavators with hydraulic hammers. The contractor was a Turkish company. Customer: Porsche concern. 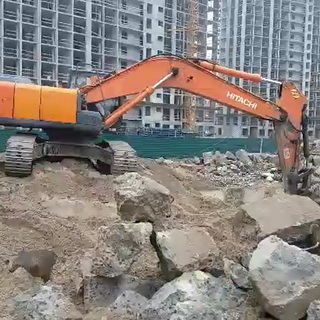 Difficulty: distance dumps for soil removal (had to do in one direction for 30-60 kilometers). ✨ Reconstruction of the Kiev Zoo. 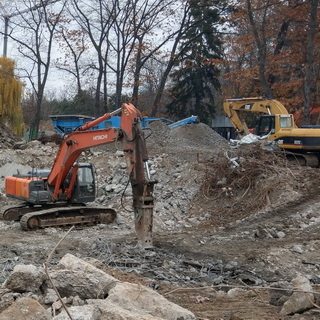 Object complexity: part of the dismantled structures had to be crushed directly at the Zoo. ✨ Improvement of roads and driveways on the Krushelnytska Str.. Asphalted eight thousand square meters of roads.